Those who visited Lighthouse Bistro before its revamp in April will undoubtedly remember the loud and gaudy orange furnishings that emblazoned the restaurant. If you visit again, you’ll be surprised by the revamp. Taking on subtler hues, Lighthouse Bistro now also boasts a bar and a private room (complete with a flat-screen TV for presentations over a business meal), making it the perfect dining venue for corporate lunches or even winding down after a long day of work. An unusual but hearty and comforting dish, oriental ingredients such as ginger and chilli certainly heightened and delighted our taste buds. 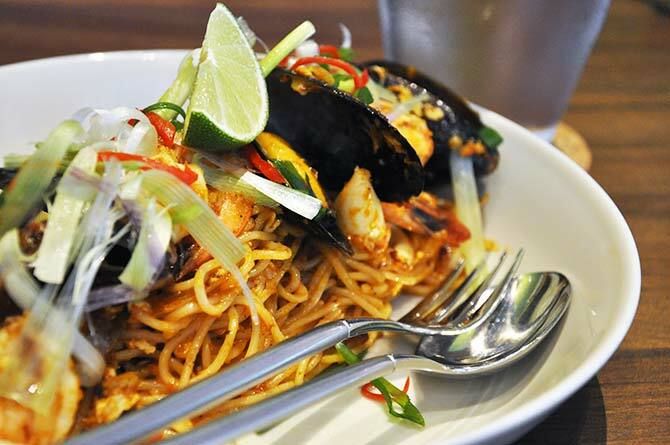 A dining establishment supported by the Singapore Maritime Officer’s Union, it is no surprise that this establishment specialises in seafood. The seafood at Lighthouse Bistro was so fresh that every single dish that was served was devoured without any hesitation. 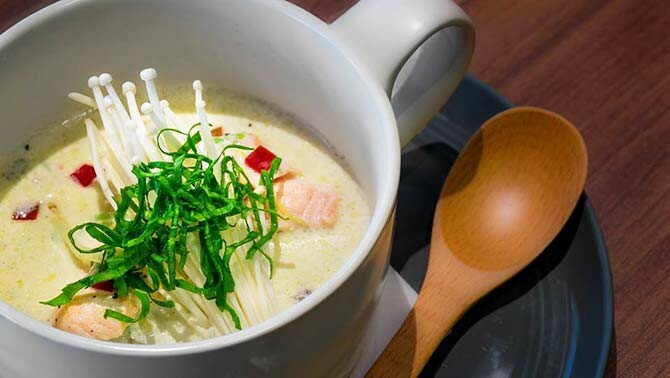 Some of my favourite dishes include the Salmon Milk Bath and the Malaysian Angel Hair, both of which are original creations by the chefs at Lighthouse Bistro. The former was a slightly peculiar sight and thus understandable if you might have some hesitation about ordering it. Nonetheless, the dish proved my impression wrong in many ways. The tender, gently-poached salmon amid a milky, light broth was warm and comforting, to say the least. The ginger, chilli and scallions resounded well with the rest of the dish and complemented its heartening flavours. Apart from the seafood, the Black Onyx Angus Steak was another star on the menu. I’m not a big fan of steak but the sweetness of the meat burst through to tantalise and enchant my taste buds. Its red wine sauce adds another dimension to the sweetness, and enticed me to take bite after bite. At this rate, I might soon become a fan. Whether you have a sweet (or salty) tooth, the Salted Caramel & Chocolate was the best dessert on the menu. 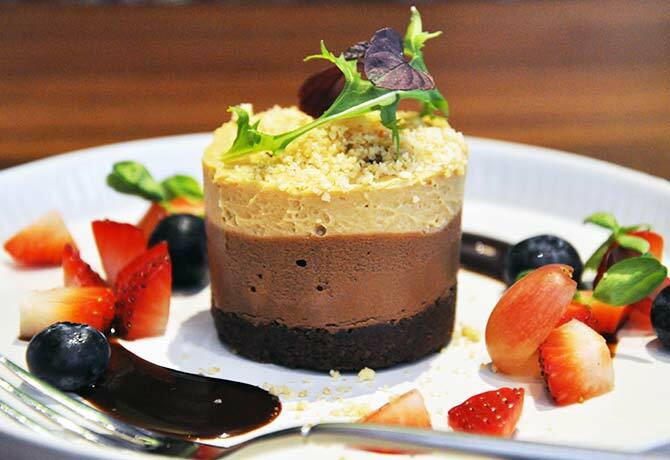 The rich chocolate and caramel mousse atop a bed of cookie crumble was so pleasurable. This sinful delight had my table lusting for more! I would say Lighthouse Bistro is definitely worth another visit.